As Stars Fall is a unique and entrancing read. 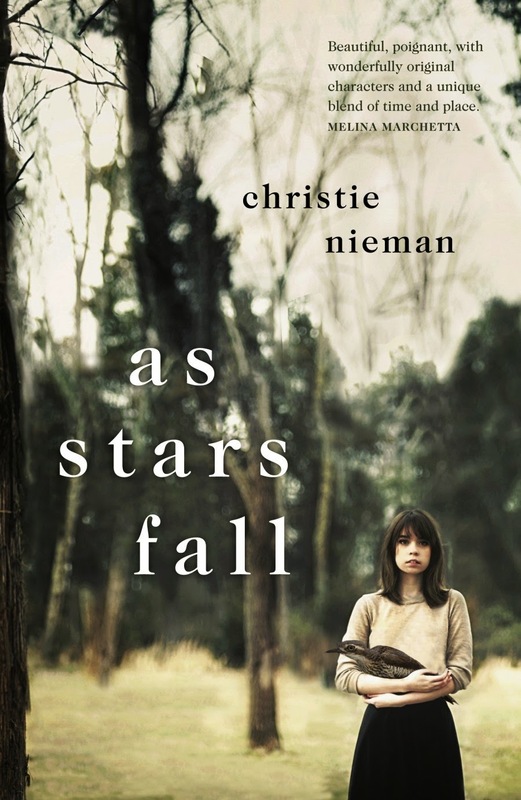 Christie Nieman has produced an emotional, multi-layered novel of substance that depicts a cascading chain of events two months after a bushfire and its devastating consequences. The story is told over approximately eleven days and is split into seven sections. The main character is Robin, who has moved, against her will, to the city with her mother. Her world is scrambled. She is unsure if her parents’ separation is permanent, needs to acclimatize to the city’s beat and her new school is a far cry from her old nurturing country school. She misses her friends and life in country Victoria. Robin’s life intersects with her strange new friend, tiny, introverted Delia, who is withering since her mum’s death. Then there’s Seth, Delia’s brother whose life has turned into a train wreck. He stumbles from cigarettes to drugs to stub out the pain and his narration is often told through a drug-induced, altered state. Robin is a bird lover like her dad and she becomes fascinated by the rare and endangered Bush Stone-curlew that she sees in the city. The same bird haunts Delia and Seth. It connects the three teens in a simmering chain of events. Nieman employs various narrative techniques such as alternating points of view – including the point of view of another of the book’s main characters, the curlew. The author, an avid bird watcher, introduces readers to the plight of an endangered bird species – perhaps a not so popular topic amongst teens. She does this by skillfully weaving the issue into a captivating story. Although the writing has a powerful and serious tone, the reader is swept up in the simmering chain of events that lead to a page-turning denouement. The characters are distinct, real and relatable (I wanted to take Seth and Delia home and care for them) and issues such as death, grief, friendship, family breakdown, teen angst and romantic chemistry will resonate with many readers. Lighter moments provide some comic relief and the realistic dual country/city settings provide depth and substance. The country setting and characters are endearing and a lovely change of place and pace.